ST. PETERSBURG, Florida -- Minor League Baseball™ (MiLB™) today revealed an expanded roster of 72 teams set to participate in its "Copa de la Diversión," or "Fun Cup," a season-long event series in 2019. The cornerstone of MiLB's U.S. Hispanic/Latino fan engagement initiative, "Copa de la Diversión" established an innovative new platform authentically connecting MiLB teams with their diverse communities, embracing the culture and values that resonate most with Hispanics/Latinos nationwide. From adopting culturally relevant on-field personas -- such as the Albuquerque Isotopes transforming into the "Mariachis de Nuevo México" and the San Antonio Missions celebrating sandal-wielding matriarchs as the "Flying Chanclas de San Antonio" -- to integrating more local flavor into their gameday experiences, the 33 teams who dedicated 167 games as "Copa de la Diversión"-designated events reported a 12.6 percent attendance increase compared to similar game dates in 2017. All new culturally relevant "Copa de la Diversión" on-field brands will be unveiled in March 2019. 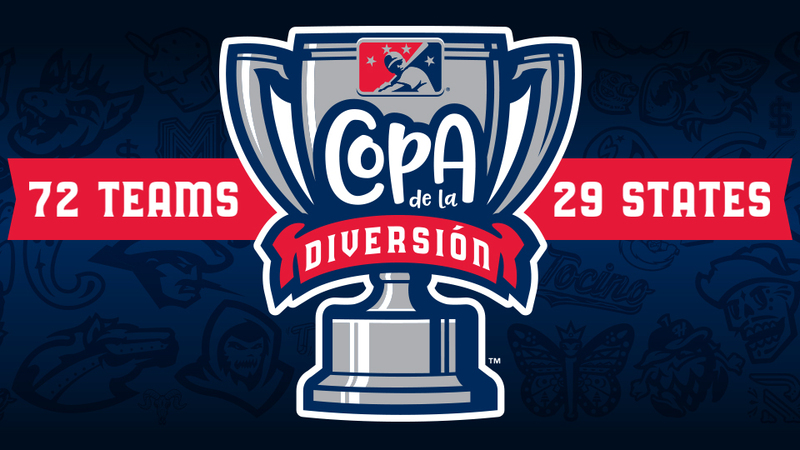 For more information on "Copa de la Diversión," visit MiLB.com/Copa.